8 GHOSTBUSTERS Storyboards, Harold Ramis Dan Aycroyd - 1983 - Size: 9x12 inches approx. Condition: Very good to Excellent (C7). Ghostbusters is a 1984 science fiction comedy film written by co-stars Dan Aykroyd and Harold Ramis about three eccentric New York City parapsychologists-turned-ghost capturers. The film was released in the United States on June 8, 1984 and like several films of the era, teamed Aykroyd and/or Ramis with Bill Murray. It was produced and directed by Ivan Reitman and stars Murray, Aykroyd, Ramis, Rick Moranis, Sigourney Weaver, Annie Potts, and Ernie Hudson. 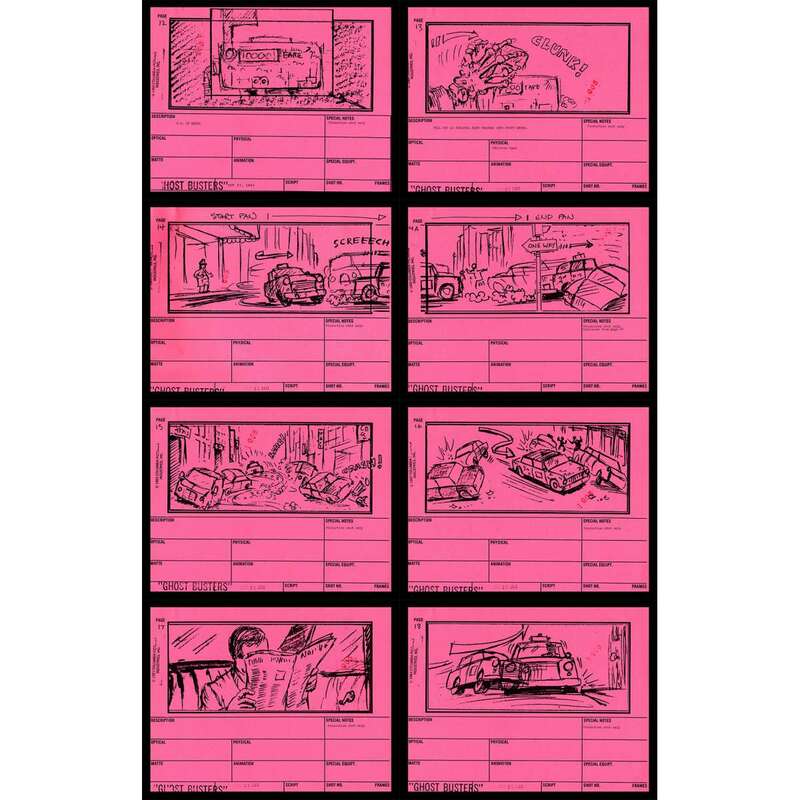 IMPORTANT : This storyboard is a COPY used during the production of the film, this is a NOT A HOMEMADE PHOTOCOPY ! It belonged to John de Cuir, who worked as Set Designer on Ghostbusters. This is a rare and vintage document !